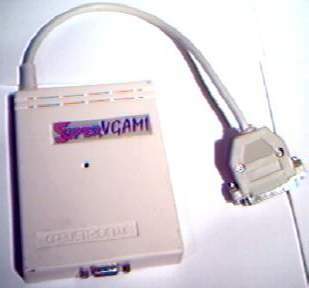 Scandoubler which connects to the Amiga's video port and scandoubles NTSC/PAL for output to an SVGA monitor. NB. This device supports up to 16bit colour.